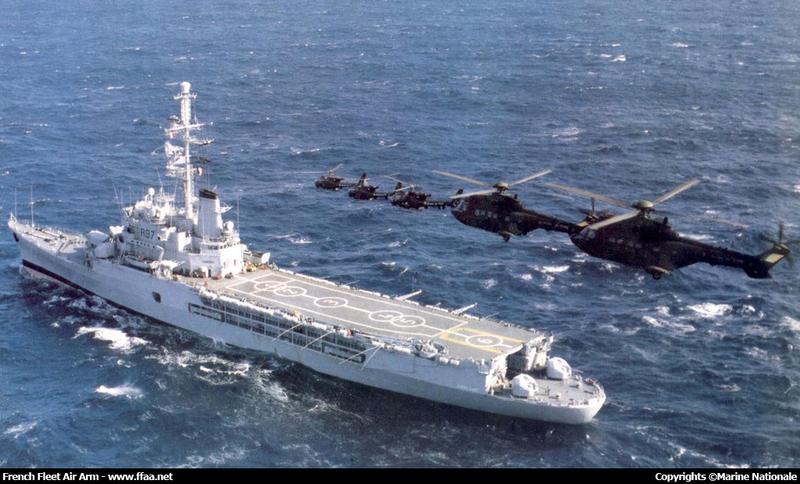 Jeanne d' Arc was a helicopter cruiser of the French Navy (Marine Nationale). She was the third vessel of the French Navy named after Joan of Arc ("Jeanne d'Arc", in French). 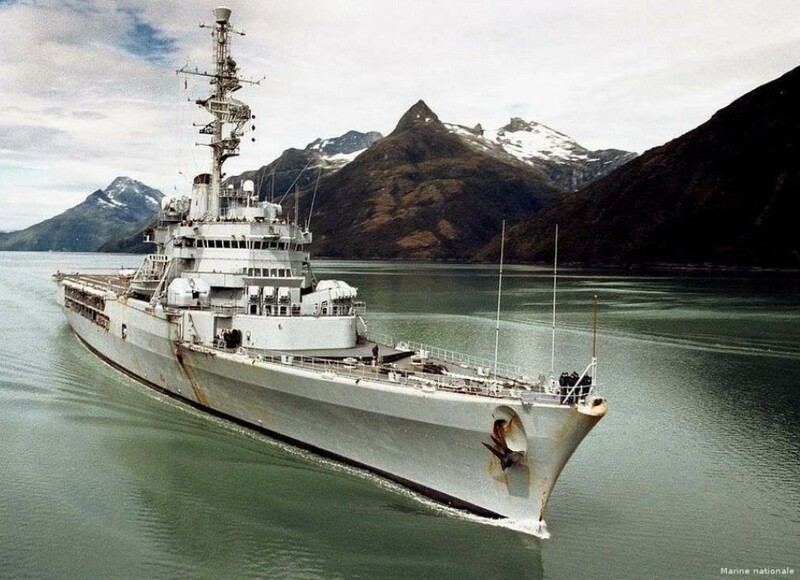 In the mid-1950s the need arose to replace the old training cruiser Jeanne d'Arc of 1930. Various proposals were considered, including the use of a flotilla "avisos escorteurs", but in 1956 it was decided to construct a specialized helicopter cruiser which in wartime could be employed for ASW operations, for amphibious assault, or as a troop transport capable of lifting a battalion of 700 men. 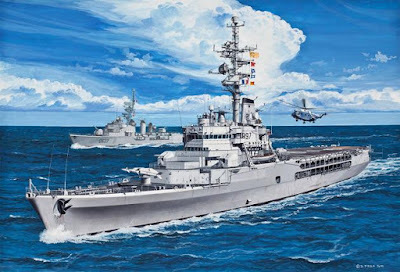 The resulting PH 57 design adopted a hull form based on that of the anti-aircraft cruiser Colbert. 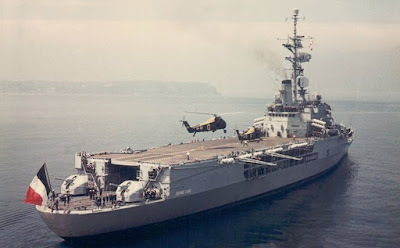 A conventional cruiser superstructure forward accommodated all command and control facilities, together with the boiler uptakes, while the after part of the ship was dominated by a helicopter deck (62x21m) beneath which were located the hangar and aviation facilities. The ship was named La Résolue as a temporary measure, adopting the name Jeanne d'Arc when her predecessor was withdrawn from service in 1964. 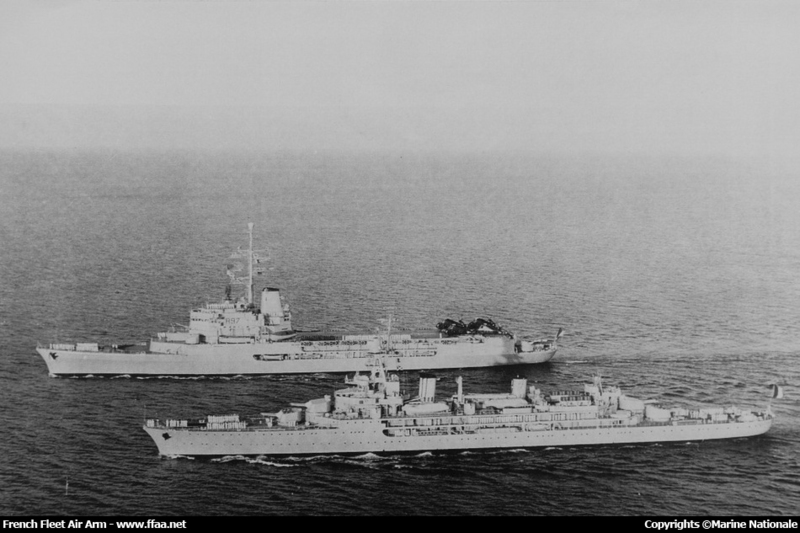 High speed was not a tactical requirement, so the size of the propulsion machinery was considerably reduced compared with the cruiser Colbert. There were two main machinery spaces, each with two boilers and a turbine, separated by a single bulkhead. After the ship's sea trials, the funnel had to be heightened in order to clear the bridge structure. 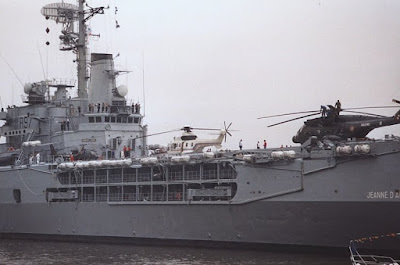 Initially it was planned to fit four 100mm single mountings around the superstructure with a further two on the stern, controlled by three FC directors, but the two mountings abeam the superstructure were deleted. 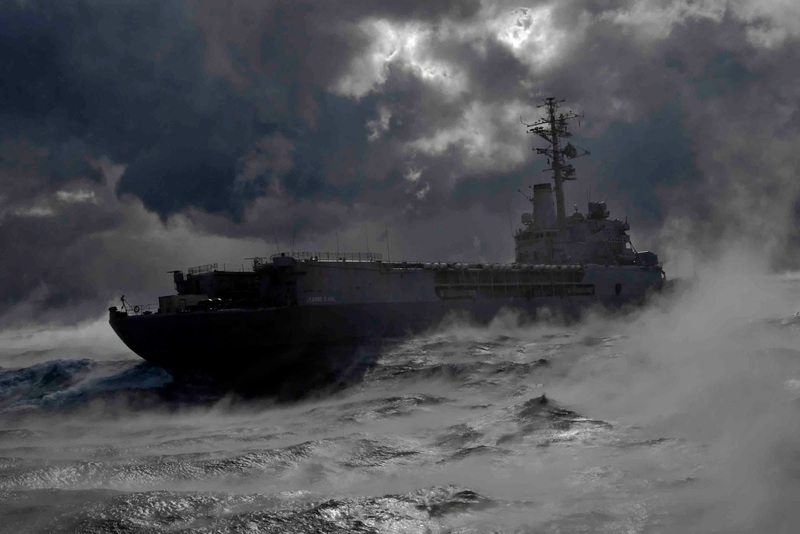 Electronic equipment was similar to that aboard Clemenceau aircraft carrier. 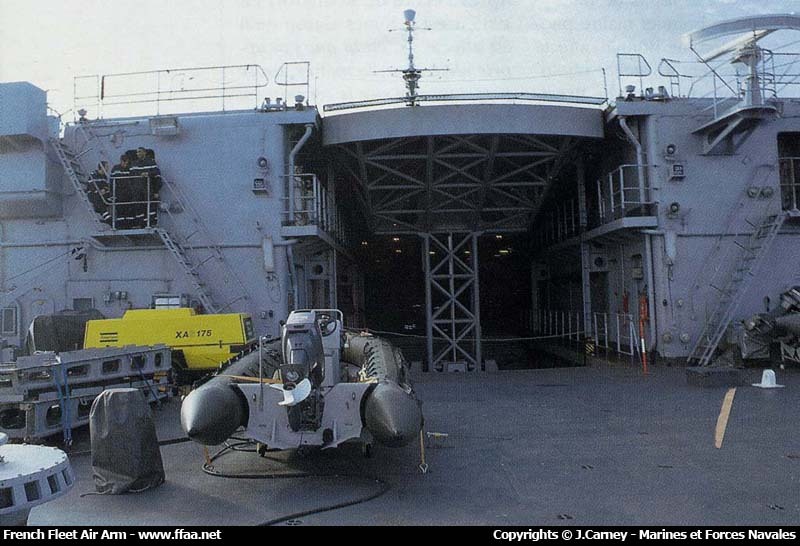 Sonar was provided, and the ship was to have carried a quadruple 305mm ASW mortar on the forecastle, but this was never fitted. It was also planned to replace the mortar by a twin Masurca SAM launcher at a later date, but this plan, too, was abandoned. 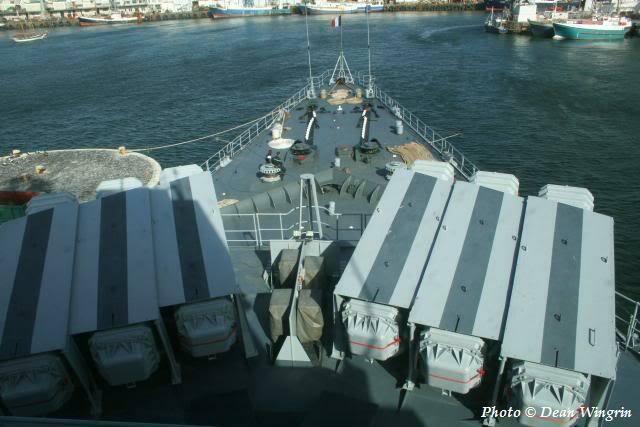 In 1974, however, six MM38 Exocet anti-ship launchers (two triple) were installed forward of the bridge. A Crotale SAM system and a SENIT-2 tactical data system were to have been installed during the 1980s, but these and other projected modifications were abandoned because of budget pressures. 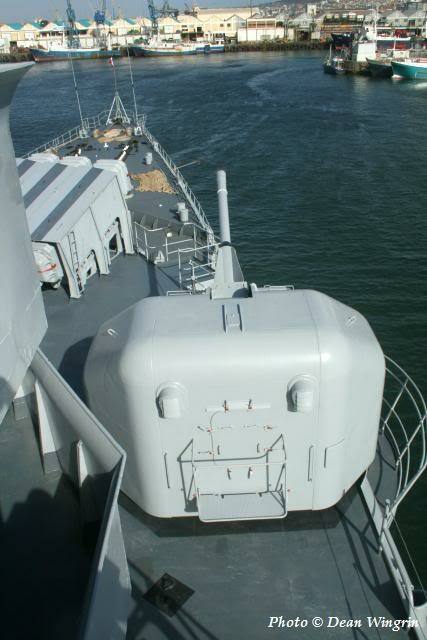 The two aft 100mm guns were removed in 2000 together with the rear fire control radar (in its position an INMARAT was installed). The bridge structure, in addition to the navigation bridge, contains an action information centre, a control centre for amphibious landing operations and, at the after end, a helicopter control bridge. 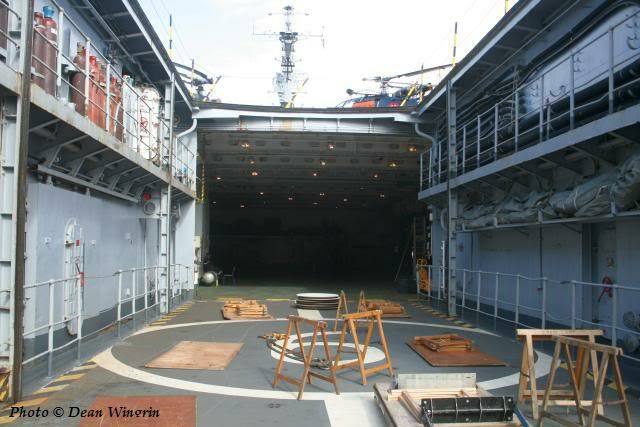 Hangar and flight deck were served by a single centreline lift with a capacity of 12t. Originally this was to have projected from the after end of the flight deck, but during construction it was decided to enclose it by extending the hangar structure aft in order to provide repair and inspection workshops and handling rooms for aircraft ordnance. 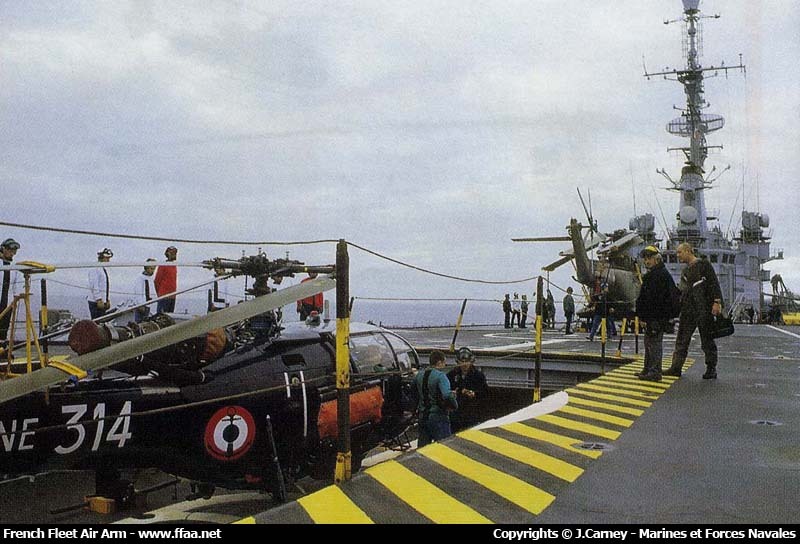 The hangar can accommodate four Super Frelon helicopters, which were introduced into service at about the same time as Jeanne d'Arc and can serve in both the ASW and assault roles. 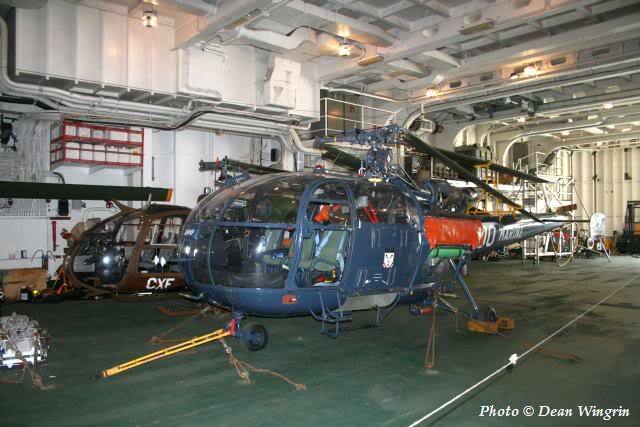 In wartime, hangar space could be doubled by removing some of the officer cadet accommodation, allowing a further four helicopters to be embarked. 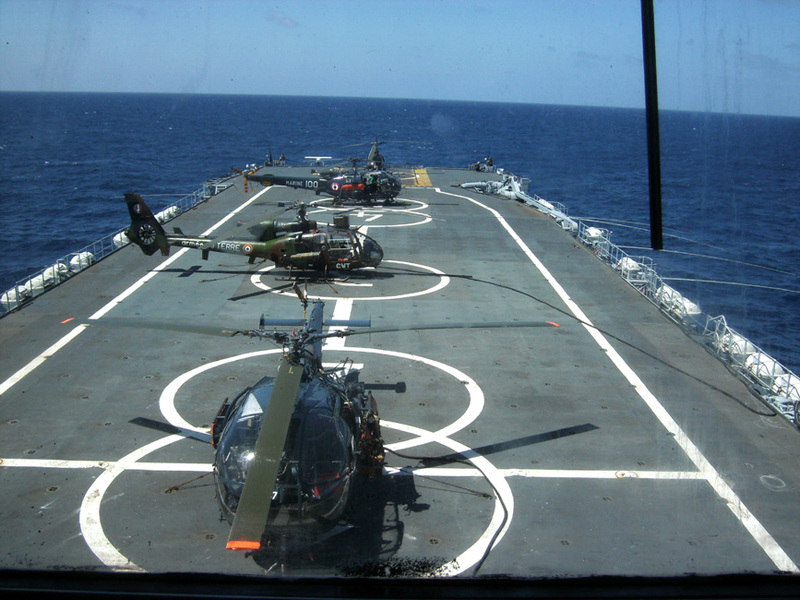 Five helicopter spots were marked on the flight deck, and there was sufficient space for two simultaneous take-offs. In peacetime, Jeanne d'Arc was a teaching and training vessel for the naval officers' application academy, and at the same time possessed an aerial group of 2 Aérospatiale Puma helicopters and 2 Aérospatiale Gazelle helicopters of the light aviation of the French Army, as well as two helicopters Alouette III of naval aviation. However, in case of emergency or crisis, she was to have become a fully capable helicopter cruiser. 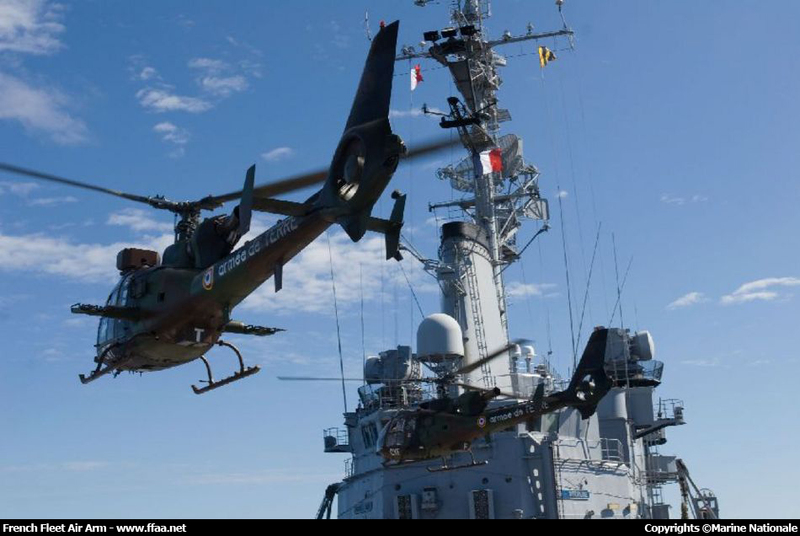 Jeanne d'Arc was capable of combat deployment, either in the anti-submarine warfare role with 8 WG 13 Lynx helicopters, or for external missions by carrying Puma or Gazelle helicopters from the light aviation of the French Army. Initially, she was also able to carry landing troops and Sikorsky or Super Frelon helicopters. 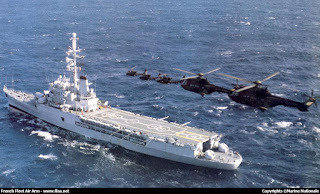 Jeanne d'Arc could carry roughly 10 light or heavy helicopters and simultaneously handle the takeoff and landing of 3 helicopters. Toward the end of her service life Jeanne d'Arc became unsuitable for the role due to the increasing size and weight of helicopters. Modified photo of Jeanne d'Arc cruiser of the French Navy. For a high resolution image click here. 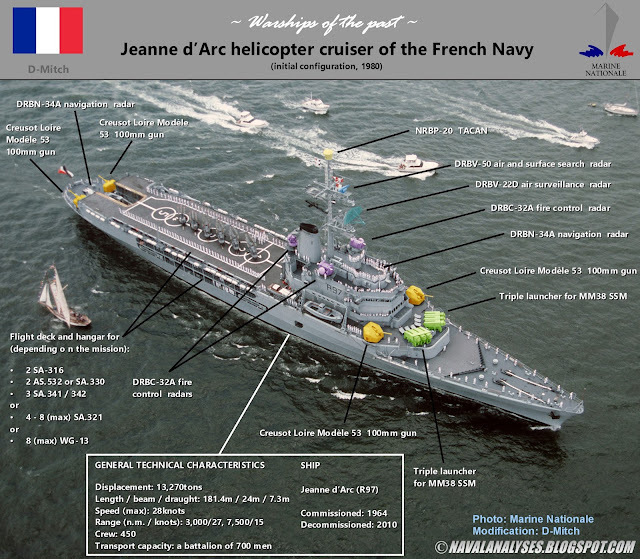 Jeanne d'Arc commenced her final cruise on December 2009. The last trip included visits to Africa, South America including Rio to Buenos Aires, Lima, the French Antilles, the United States of America including New York city and Canada. 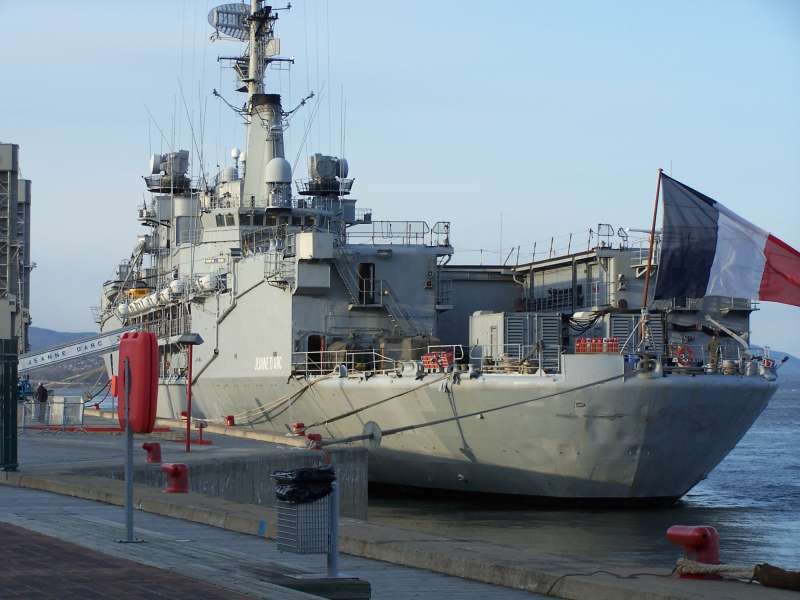 The deployment was completed in May 2010 with a return to the port of Brest in France on 27 May 2010. 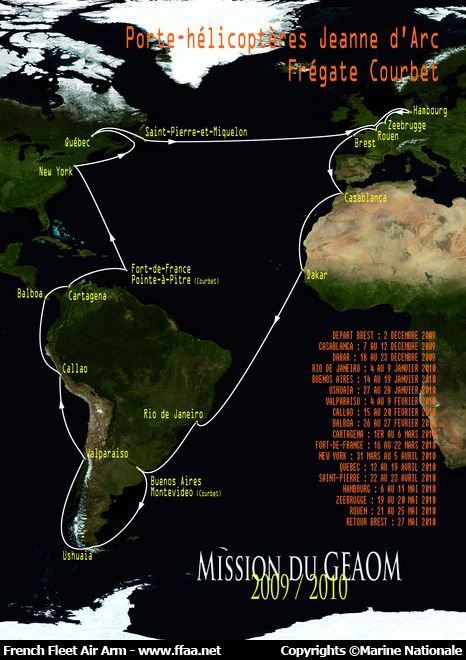 On its final mission, Jeanne d'Arc, continued to perform in its role as a training vessel for French navy midshipmen. 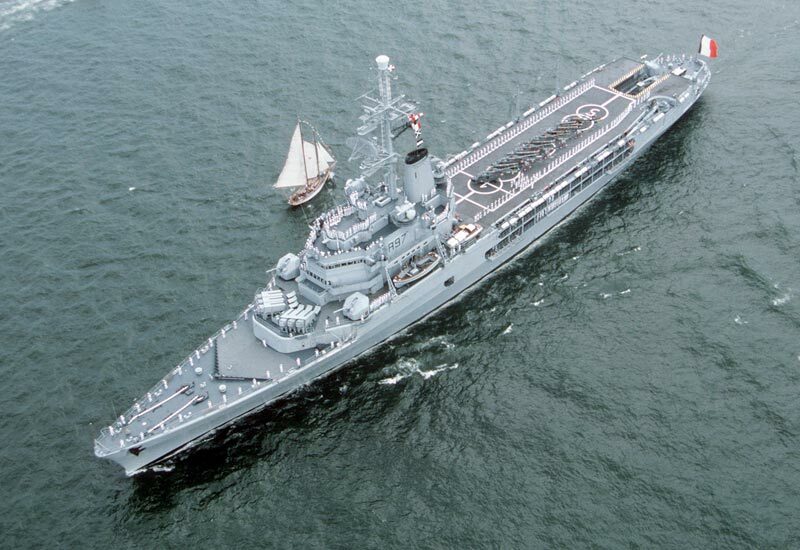 On this final voyage she was accompanied by the frigate Courbet (F712), and carried a French training squadron with 103 naval cadets, including twelve from nine foreign countries. The helicopter carrier Jeanne d'Arc was formally removed from active service in the French Marine Nationale on 7 June 2010. 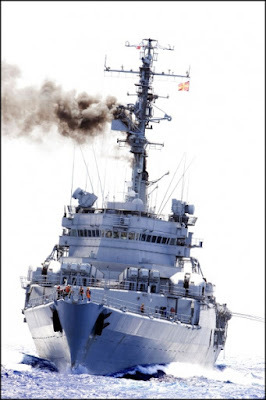 On 1 September 2010, at 11:30, Jeanne d'Arc's colors and name were withdrawn, formally ending her life as a ship in the Marine Nationale after 40 years from the day she was laid down (1960). 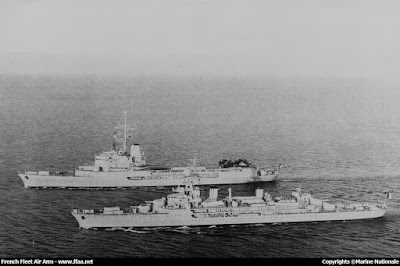 Jeanne d'Arc was the last French cruiser and at the same time the last European cruiser.